Giant-Size Geek: Jack Kirby Fourth World Gallery: pinups by Byrne, Simonson, and more! Jack Kirby Fourth World Gallery: pinups by Byrne, Simonson, and more! Whenever I feel a bit down, the best therapy is always to go explore my long boxes. A couple of weeks ago, I came across the 1996 pin-up special, Jack Kirby Fourth World Gallery! New Gods assembled by Walt Simonson. I really think Simonson drew my favorite interpretation of these characters after Kirby. 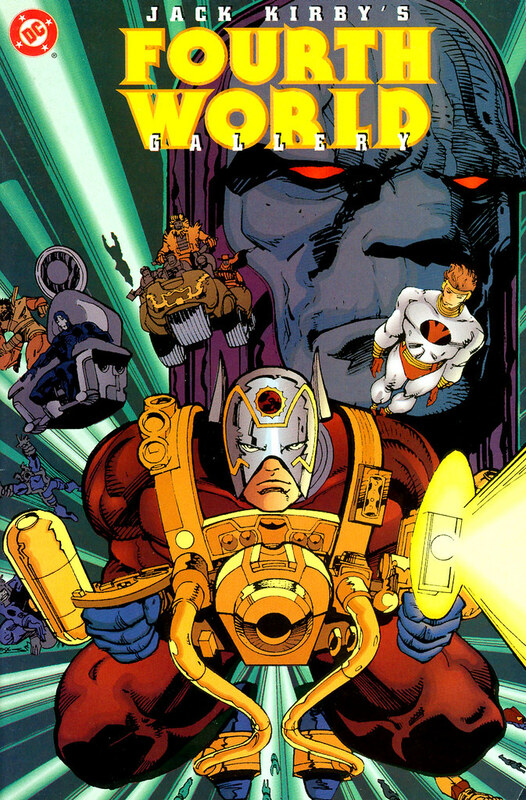 Orion of the New Gods was a great series and still holds up to reading today. 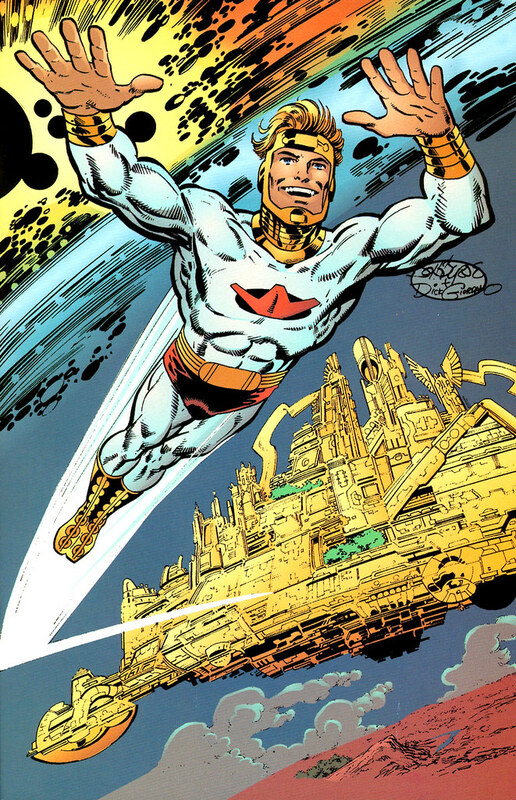 Orion by John Byrne. Of course, Mr. Byrne was no slouch at capturing the power cosmic of these Kirby characters as well. Love how he draws Orion coming out of an exploding galaxy here. Lightray by John Byrne. Magnificent vista of New Genesis in the background! Lightray has to be the most positive character in the history of comics. Mister Miracle by Steve Lightle. Funny that Lightle resisted the urge to go for a full profile shot and instead drew this image of Scott Free in space. Was this a rejected cover for an earlier series? Forever People by Dan Jurgens and Brett Breeding, who do a pretty good job of drawing these timeless hippies alongside the Infinity Man. Seeing these images makes me feel good about the original incarnations of these characters. 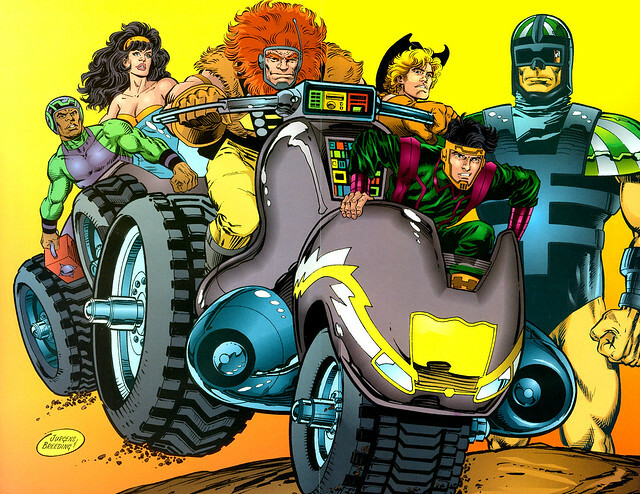 I usually like Grant Morrison's work, but I feel his re-imagining of the New Gods in Seven Soldiers was a huge mistake. Even worse were the final fate of the New Gods in Final Crisis. I am sure someone is planning for their return in the New 52 DC Universe. Will it be the classic versions or Morrison's weird take? Let's wait and see. Nuff Said! Great images. Thanks for sharing them. 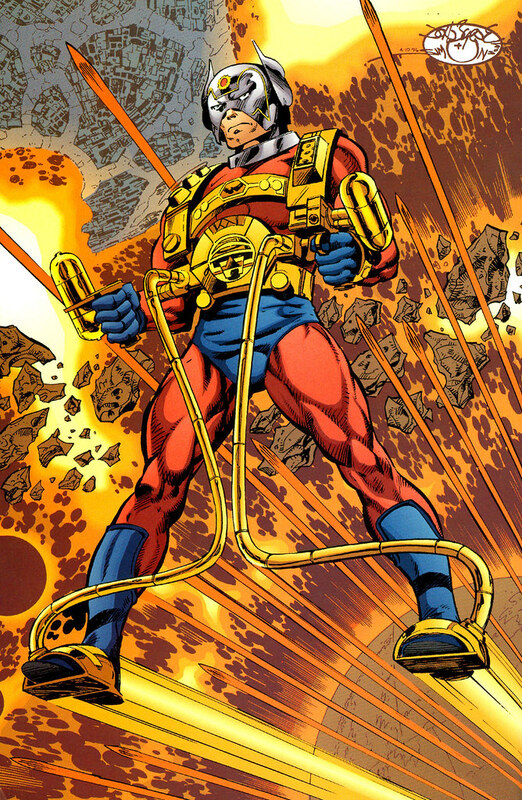 I love the new gods more than humanly possible and think that there is still hit franchise potential in there if they could get just the right opening! These images show exactly that. 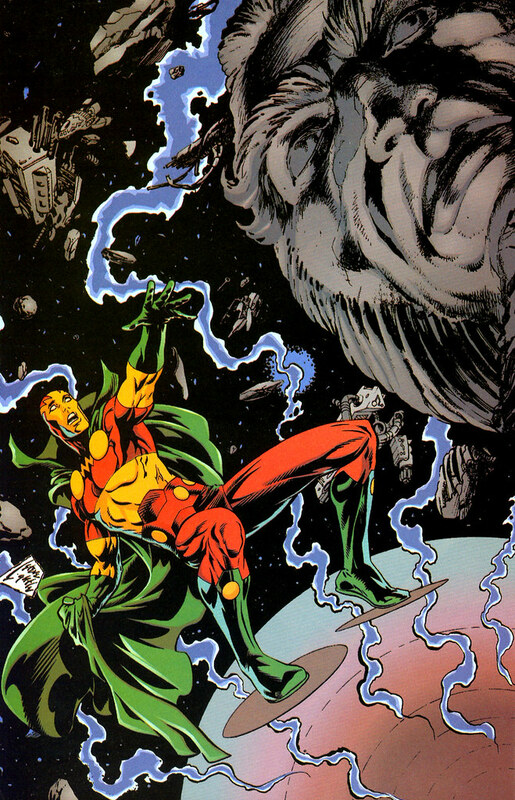 Mr Miracle, Orion - modern comics need you back!